Oh my gosh. The fug is strong in this one. I see that Australia also got three Festival bags. I have my fingers crossed! A sweet little old lady in the room next to my grandfather's at the nursing home has an outfit like this. She wears it with a cardigan sweater and her reading glasses. Lululemon really is for all ages now! Not top worst five of this year. Top worst 5 of all time. That bad. I'm a fashionista, and if I want a romper, I will head to Stone Cold Fox , not Lulu. @ anon 9:22 am - Totally!! 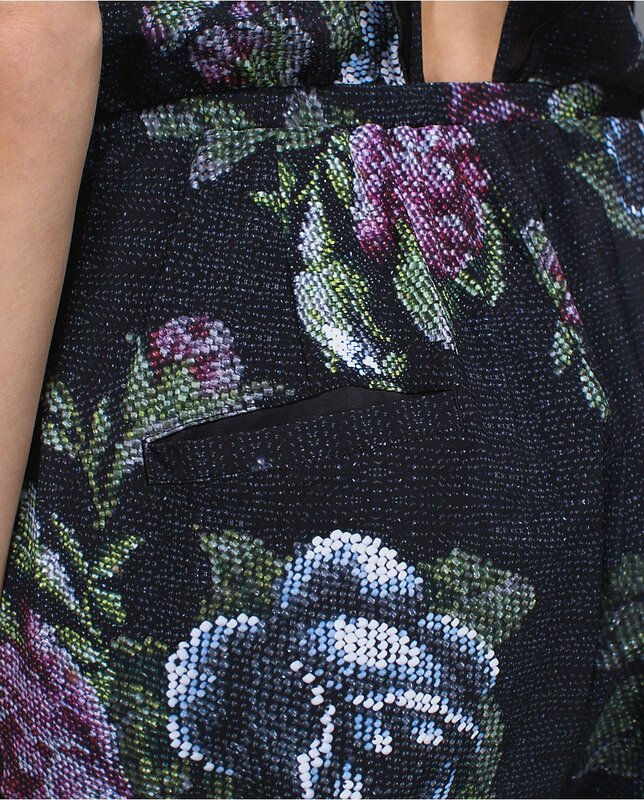 That is what I thought when I see these blingy prints - old lady cruise or casino wear. Wait, is Johnny Weir designing for lululemon now? That might explain the holiday line. WTF is right....LLA you make me howl with your comments!!!!!!!!! "hitting the dance floor? Breathable Mesh cut outs let you blow off steam" LOL......... Lulu's description $169. The onsie is simply hideous... but why hasn't anyone mentioned these "beauties" the Rise & Shine Boxer in Bead Envy Silver Spoon?? 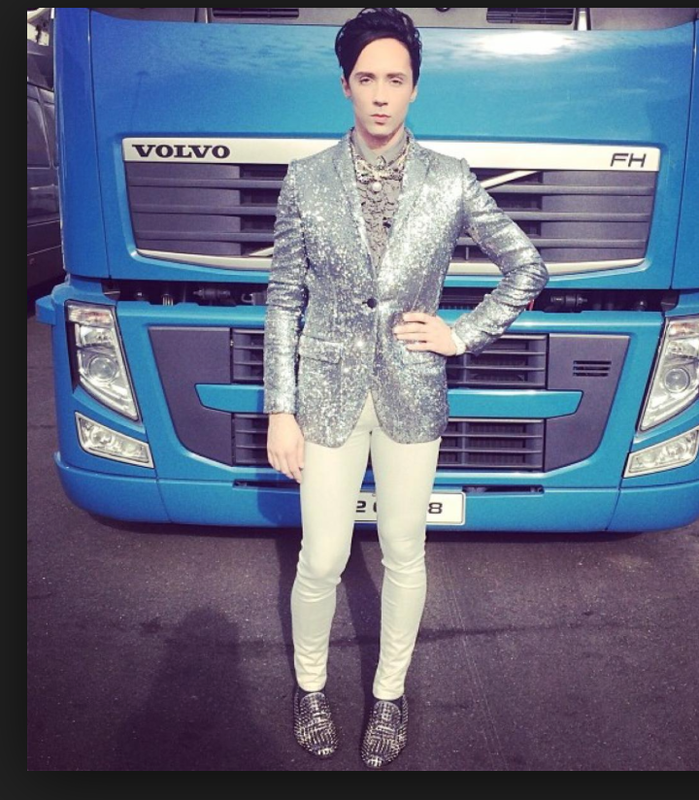 Oh, seriously, Johnny Weir could do so much better. Yes, everything would be over the top, but he would never go so far as floral onsies. You know what's irritating? There are a lot of more reasonable items that they could be making and that people would actually buy, and yet they're spending money on this crap that, while attention-getting, is not something that enhances the brand and alienates core customers. WTF, indeed. I feel like this company is at the wheel of its own slow death. @ anon 9:59 am - I know. When they waste resources on this weird stuff, it really bugs me and I think of all the great things they could have made. As I was walking my dog this morning wearing my Post Chaturanga sherpa fleece pullover from last year, I was reflecting on what a useful top it is and how much wear I get out of it. I was thinking how much I'd love another one in a different color. On the other hand, lululemon has come out with a lot of very nice things this season - the Think Fast Pullover and Race Your Pace LS, in addition to the very cozy diamond jacquard space dye fabrics. Runday crops are bac, which is a good thing.. Everything can't be a winner, otherwise I'd need to take out a second mortgage to get it all but this stuff seems rather out there. @ anon 9:53 am - I think those came out earlier this year. They might look better on a model with a booty and in a size down. oy vey. that thing is so hideous that it would only work if you are trying to shock people with fug. the lulu ship of fools is sailing into some strange seas. I wish Johnny Weir were designing for lulu, I don't think he'd even let this one out. And after that, I'm speechless. Honestly... I don't think it's in the top 5 worst lulu/all that bad. I think it's weird they made it because you can't use it to work out in, but that hasn't stopped them from making all the &go and other items not for working out. And I personally feel that if lulu makes casual clothes, a more classic look is truer to the brand image and their design abilities. 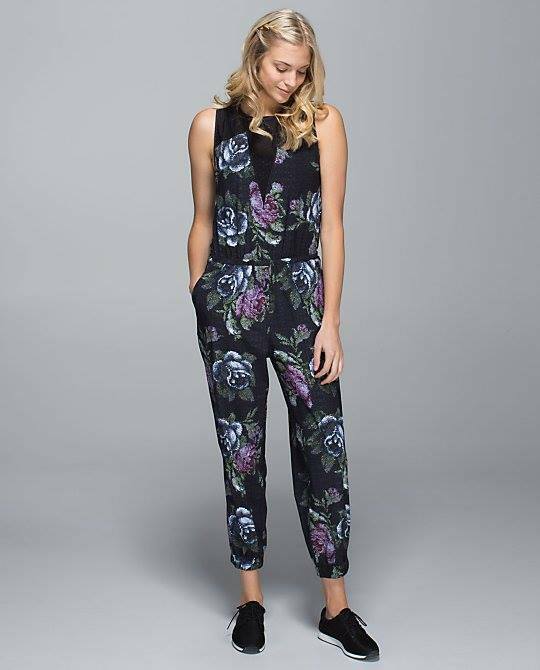 But... the print reminds me of Rag and Bone's tapestry floral print from a couple years ago, and as a romper goes, there's nothing especially hideous about it to me. Maybe the print could've been smaller. I think items like the Tranquility Jacket and the Long and Short of It Jacket are on a different level of fail for me. Hey I don't think lululemon is going out of business anytime soon! They make some ugly stuff here and there but the majority of their stuff is AWESOME! Wow! Reiterate: fugly, worst ever, what were they thinking (obviously they weren't and don't), etc. Just when I think they can't make something more ugly than they already have, they manage to top themselves! All this pattern reminds me of is an old carpet bag. It is not cool! I also agree LLL is such a wasteful, thoughtless company. There's no thought here into aesthetic appeal or quality of design. Where's the company's self respect for only making great quality, great looking items? They're wasteful as this will go straight to landfill and they're is already enough crap in this world.